Payet signs new contract until summer 2021! ………Everyone breathes a sigh of relief!!!! West Ham United have re-signed midfield player Gary O’Neil on a free transfer after the player was officially released by The Hammer’s at the end of last season. O’Neil’s contract expired at the end of the 2012/2013 season and was put in the free agent pool as the club had not agreed an extension with him. However, after being free to discuss terms with other clubs the 30-year-old midfielder has signed on again with West Ham United. A number of clubs are ready to launch moves for West Brom midfielder Graham Dorrans. The Scotland international was told in January that he could look for a new club, but the 26-year-old remained at the Hawthorns and completed the season with the Baggies. He played over 20 games for West Brom, but it is still understood that boss Steve Clarke will not stand in his way should an offer come in. Sky Sports understands that a number of Premier League clubs are ready to make offers. Amongst them are West Ham, who have previously had bids rejected, and they remain abreast of the situation along with newly-promoted Cardiff City. Dorrans currently has two years left on his deal with the Baggies. 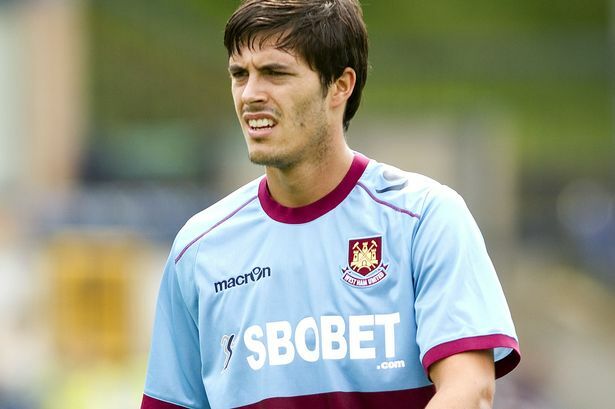 Newcastle United have been quoted a £6million asking fee for West Ham defender James Tomkins – a figure that could well spell the end of Alan Pardew’s interest in the 24-year-old Londoner. East end sources say that the Hammers aren’t going to budge on what many see as an expensive price tag for a player who suffered with shin problems last season and last appeared for West Ham in the middle of April. The Chronicle understands that Tomkins is well aware Pardew is keen on signing the former England Under-21 and Great Britain defender and has spoken openly about the prospect to team-mates. United owner Mike Ashley is still thought to be keen on ploughing the majority of summer spending into the acquisition of a centre-forward. However, Tomkins’ name was on the top of a wish-list handed to new director of football Joe Kinnear before he jetted off to Italy for a family break.